For the Biblical term and its varied meanings, see Tzaraath. For other uses, see Leprosy (disambiguation). Leprosy, also known as Hansen's disease (HD), is a long-term infection by the bacteria Mycobacterium leprae or Mycobacterium lepromatosis. Initially, infections are without symptoms and typically remain this way for 5 to 20 years. Symptoms that develop include granulomas of the nerves, respiratory tract, skin, and eyes. This may result in a lack of ability to feel pain and thus loss of parts of extremities due to repeated injuries or infection due to unnoticed wounds. Weakness and poor eyesight may also be present. Leprosy is spread between people. This is thought to occur through a cough or contact with fluid from the nose of an infected person. Leprosy occurs more commonly among those living in poverty. Contrary to popular belief, it is not highly contagious. The two main types of disease are based on the number of bacteria present: paucibacillary and multibacillary. The two types are differentiated by the number of poorly pigmented, numb skin patches present, with paucibacillary having five or fewer and multibacillary having more than five. The diagnosis is confirmed by finding acid-fast bacilli in a biopsy of the skin or by detecting the DNA using polymerase chain reaction. Leprosy is curable with a treatment known as multidrug therapy. Treatment for paucibacillary leprosy is with the medications dapsone and rifampicin for six months. Treatment for multibacillary leprosy consists of rifampicin, dapsone, and clofazimine for 12 months. A number of other antibiotics may also be used. These treatments are provided free of charge by the World Health Organization. Globally in 2012, the number of chronic cases of leprosy was 189,000, down from some 5.2 million in the 1980s. The number of new cases was 230,000. Most new cases occur in 16 countries, with India accounting for more than half. In the past 20 years, 16 million people worldwide have been cured of leprosy. About 200 cases are reported per year in the United States. Leprosy has affected humanity for thousands of years. The disease takes its name from the Latin word lepra, which means "scaly", while the term "Hansen's disease" is named after the physician Gerhard Armauer Hansen. Separating people by placing them in leper colonies still occurs in places such as India, China, and Africa. However, most colonies have closed since leprosy is not very contagious. Social stigma has been associated with leprosy for much of history, which continues to be a barrier to self-reporting and early treatment. Some consider the word "leper" offensive, preferring the phrase "person affected with leprosy". World Leprosy Day was started in 1954 to draw awareness to those affected by leprosy. Leprosy is primarily a granulomatous disease of the peripheral nerves and mucosa of the upper respiratory tract; skin lesions (light or dark patches) are the primary external sign. If untreated, leprosy can progress and cause permanent damage to the skin, nerves, limbs, and eyes. Contrary to folklore, leprosy does not cause body parts to fall off, although they can become numb or diseased as a result of secondary infections; these occur as a result of the body's defenses being compromised by the primary disease. Secondary infections, in turn, can result in tissue loss, causing fingers and toes to become shortened and deformed, as cartilage is absorbed into the body. M. leprae and M. lepromatosis are the causative agents of leprosy. M. lepromatosis is a relatively newly identified mycobacterium isolated from a fatal case of diffuse lepromatous leprosy in 2008. An intracellular, acid-fast bacterium, M. leprae is aerobic and rod-shaped, and is surrounded by the waxy cell membrane coating characteristic of the Mycobacterium genus. Naturally occurring infection also has been reported in nonhuman primates, including the African chimpanzee, sooty mangabey, and cynomolgus macaque, as well as in armadillos and red squirrels. Red squirrels (Sciurus vulgaris) - a threatened species - in England were found to have leprosy in November 2016. There have been no squirrel cases spread to a human for hundreds of years, though. The greatest risk factor for developing leprosy is contact with another case of leprosy. Contacts of people with leprosy are five to eight times more likely to develop leprosy than members of the general population. Other risk factors are poorly understood. However, conditions that reduce immune function, such as malnutrition, other illnesses, or host genetic differences, may increase the risk of developing leprosy. Despite this, infection with HIV does not appear to increase the risk of developing leprosy. Leprosy is not known to be either sexually transmitted or highly infectious. People are no longer infectious after as little as two weeks of treatment. Leprosy may also be transmitted to humans by armadillos and may be present in three species of nonhuman primates, and in red squirrels. The skin and the upper respiratory tract are most likely entry route. While older research dealt with the skin route, recent research has increasingly favored the respiratory route. Experimental transmission of leprosy through aerosols containing M. leprae in immunosuppressed mice was accomplished, suggesting a similar possibility in humans. Several genes have been associated with a susceptibility to leprosy. Many people's immune systems are able to eliminate leprosy during the early infection stage before severe symptoms develop. A defect in cell-mediated immunity may cause susceptibility to leprosy. The region of DNA responsible for this variability is also involved in Parkinson's disease, giving rise to current speculation that the two disorders may be linked in some way at the biochemical level. Some evidence indicates not all people who are infected with M. leprae develop leprosy, and genetic factors have long been thought to play a role, due to the observation of clustering of leprosy around certain families, and the failure to understand why certain individuals develop lepromatous leprosy while others develop other types of leprosy. Skin lesions can be single or multiple, and usually hypopigmented, although occasionally reddish or copper-colored. The lesions may be macules (flat), papules (raised), or nodular. The sensory loss at the skin lesion is important because this feature can help differentiate it from other causes of skin lesions such as tinea versicolor. Thickened nerves are associated with leprosy and can be accompanied by loss of sensation or muscle weakness. However, without the characteristic skin lesion and sensory loss, muscle weakness is not considered a reliable sign of leprosy. Positive skin smears: In some case, acid-fast leprosy bacilli are considered diagnostic; however, the diagnosis is clinical. Diagnosis in areas where the disease is uncommon, such as the United States, is often delayed because healthcare providers are unaware of leprosy and its symptoms. Early diagnosis and treatment prevent nerve involvement, the hallmark of leprosy, and the disability it causes. Many kinds of leprosy are known, but some symptoms are common, including runny nose, dry scalp, eye problems, skin lesions, muscle weakness, reddish skin, smooth, shiny, diffuse thickening of facial skin, ear, and hand, loss of sensation in fingers and toes, thickening of peripheral nerves, and flat nose due to destruction of nasal cartilage. Also, phonation and resonation of sound occur during speech. Often, atrophy of the testes and impotency happen. The SHAY scale provides five gradations. Early detection of the disease is important, since physical and neurological damage may be irreversible even if cured. Medications can decrease the risk of those living with people with leprosy from acquiring the disease and likely those with whom people with leprosy come into contact outside the home. However, concerns are known of resistance, cost, and disclosure of a person's infection status when doing follow-up of contacts. Therefore, the WHO recommends that people who live in the same household be examined for leprosy and only be treated if symptoms are present. A number of leprostatic agents are available for treatment. For paucibacillary (PB or tuberculoid) cases, treatment with daily dapsone and monthly rifampicin for six months is recommended. While for multibacillary (MB or lepromatous) cases, treatment with daily dapsone and clofazimine along with monthly rifampicin for 12 months is recommended. Multidrug therapy (MDT) remains highly effective, and people are no longer infectious after the first monthly dose. It is safe and easy to use under field conditions due to its presentation in calendar blister packs. Relapse rates remain low, and no resistance to the combined drugs is seen. In 2012, the number of cases of leprosy was about 180,000. In 2011, the approximate number of new leprosy cases diagnosed was 220,000. As of 2013, 14 countries contain 95% of the globally reported leprosy cases. Of these, India has the greatest number of cases (59%), followed by Brazil (14%) and Indonesia (8%). Although the number of cases worldwide continues to fall, pockets of high prevalence remain in certain areas such as Brazil, South Asia (India, Nepal, Bhutan), some parts of Africa (Tanzania, Madagascar, Mozambique), and the western Pacific. The number of cases of leprosy was in the tens of millions in the 1960s, a series of national (the International Federation of Anti-Leprosy Associations) and international (the WHO's "Global Strategy for Reducing Disease Burden Due to Leprosy") initiatives have reduced the total number and the number of new cases of the disease. In 1995, two to three million people were estimated to be permanently disabled because of leprosy. Using comparative genomics, in 2005, geneticists traced the origins and worldwide distribution of leprosy from East Africa or the Near East along human migration routes. They found four strains of M. leprae with specific regional locations. Strain 1 occurs predominately in Asia, the Pacific region, and East Africa; strain 4, in West Africa and the Caribbean; strain 3 in Europe, North Africa, and the Americas; and strain 2 only in Ethiopia, Malawi, Nepal/north India, and New Caledonia. The oldest skeletal evidence for the disease was found in the human remains from the archaeological sites of Balathal and Harappa, in India and Pakistan, respectively. Interpretations of the presence of leprosy have been made on the basis of descriptions in ancient Indian (Atharva Verda and Kausika Sutra), Greek, and Middle Eastern documentary sources that describe skin afflictions. Skeletal remains from the second millennium BC, discovered in 2009, represent the oldest documented evidence for leprosy. Located at Balathal, in Rajasthan, northwest India, the discoverers suggest that if the disease did migrate from Africa to India, during the third millennium BC “at a time when there was substantial interaction among the Indus Civilization, Mesopotamia, and Egypt, there needs to be additional skeletal and molecular evidence of leprosy in India and Africa so as to confirm the African origin of the disease.” A proven human case was verified by DNA taken from the shrouded remains of a man discovered in a tomb next to the Old City of Jerusalem dated by radiocarbon methods to 1–50 AD. 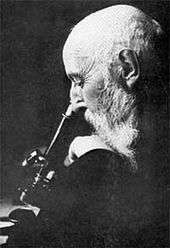 The causative agent of leprosy, M. leprae, was discovered by G. H. Armauer Hansen in Norway in 1873, making it the first bacterium to be identified as causing disease in humans. The first effective treatment (promin) became available in the 1940s. In the 1950s, dapsone was introduced. The search for further effective antileprosy drugs led to the use of clofazimine and rifampicin in the 1960s and 1970s. Later, Indian scientist Shantaram Yawalkar and his colleagues formulated a combined therapy using rifampicin and dapsone, intended to mitigate bacterial resistance. MDT combining all three drugs was first recommended by the WHO] in 1981. These three antileprosy drugs are still used in the standard MDT regimens. Leprosy was once believed to be highly contagious and was treated with mercury—all of which applied to syphilis, which was first described in 1530. Many early cases thought to be leprosy could actually have been syphilis. Resistance has developed to initial treatment. Until the introduction of MDT in the early 1980s, the disease could not be diagnosed and treated successfully within the community. Heráclides César de Souza Araújo, a Brazilian scientist known for his research into the control and treatment of leprosy. India was one of the first countries to have acted against leprosy. India enacted the Leprosy Act of 1898 which institutionalized those affected and segregated them by gender to prevent reproduction. The Act was difficult to enforce but was only repealed in 1983 after MDT therapy became widely available. In 1983, the National Leprosy Elimination Programme, previously the National Leprosy Control Programme, changed its methods from surveillance to the treatment of people with leprosy. India still accounts for over half of the global disease burden. Written accounts of leprosy date back thousands of years. Various skin diseases translated as leprosy appear in the ancient Indian text, the Atharava Veda, as early as 2000 BC. Another Indian text, the Laws of Manu (1500 BC), prohibited contact with those infected with the disease and made marriage to a person infected with leprosy punishable. Many English translations of the Bible translate tzaraath as "leprosy," a confusion that derives from the use of the koine cognate "Λέπρα" (which can mean any disease causing scaly skin) in the Septuagint. Ancient sources such as the Talmud (Sifra 63) make clear that tzaraath refers to various types of lesions or stains associated with ritual impurity and occurring on cloth, leather, or houses, as well as skin. It may sometimes be a symptom of the disease described in this article but has many other causes, as well. The New Testament describes instances of Jesus healing people with leprosy (Luke 5:10), although the precise relationship between this, tzaraath, and Hansen's disease is not established. The biblical perception that people with leprosy were unclean may be connected to a passage from Leviticus 13: 44-46. Judeo-Christian belief held that leprosy was a moral disease, and early Christians believed that those affected by leprosy were being punished by God for sinful behavior. Moral associations have persisted throughout history. Pope Gregory the Great (540-604) and Isidor of Seville (560-636) considered people with the disease to be heretics. It is believed that a rise in leprosy in Europe occurred in the Middle Ages based on the increased number of hospitals created to treat leprosy patients in the 12th and 13th centuries. France alone had nearly 2,000 leprosariums during this period. 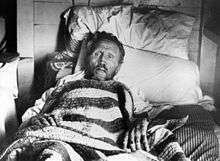 Early leprosy research throughout Europe was conducted by Norwegian scientists, Daniel Cornelius Danielssen and C.W. Boeck. Their work resulted in the establishment of the National Leprosy Research and Treatment Center. Danielssen and Boeck believed the cause of leprosy transmission was hereditary. This stance was influential in advocating for the isolation of those infected by gender to prevent reproduction. Despite effective treatment and education efforts, leprosy stigma continues to be problematic in endemic developing countries. Leprosy is most prevalent amongst impoverished or marginalized populations where social stigma is likely to be compounded by other social inequities. Fears of ostracism, loss of employment, or expulsion from family and society may contribute to a delayed diagnosis and treatment. Folk models of belief, lack of education, and religious connotations of the disease continue to influence social perceptions of those afflicted in many parts of the world. In Brazil, for example, folklore holds that leprosy is transmitted by dogs, it is a disease associated with sexual promiscuity, and is sometimes thought to be punishment for sins or moral transgressions. Socioeconomic factors also have a direct impact. Lower-class domestic workers who are often employed by those in a higher socioeconomic class may find their employment in jeopardy as physical manifestations of the disease become apparent. Skin discoloration and darker pigmentation resulting from the disease also has social repercussions. Baldwin IV of Jerusalem was a Christian king of Latin Jerusalem afflicted with leprosy. Baldwin, and the effects of his disease, were portrayed in the film Kingdom of Heaven. Wild nine-banded armadillos (Dayspus novemcinctus) in south central United States often carry Mycobacterium leprae. This is believed to be because armadillos have such a low body temperature. Leprosy lesions appear mainly in cooler body regions such as the skin and mucous membranes of the upper respiratory tract. Because of armadillo's armor, skin lesions are hard to see. Abrasions around the eyes, nose and feet are the most common signs. Infected armadillos make up a large reservoir of M. leprae and may be a source of infection for some humans in the United States or other locations in the armadillos' home range. In armadillo leprosy, lesions did not persist at the site of entry in animals, M. leprae multiplied in macrophages at the site of inoculation and lymph nodes. ↑ "Definition of leprosy". The Free Dictionary. Retrieved 2015-01-25. 1 2 3 4 5 6 7 8 9 10 "Leprosy Fact sheet N°101". World Health Organization. Jan 2014. 1 2 3 "New Leprosy Bacterium: Scientists Use Genetic Fingerprint To Nail 'Killing Organism'". ScienceDaily. 2008-11-28. Retrieved 2010-01-31. 1 2 3 4 5 6 7 8 9 10 11 12 13 14 15 Suzuki K, Akama T, Kawashima A, Yoshihara A, Yotsu RR, Ishii N (February 2012). "Current status of leprosy: epidemiology, basic science and clinical perspectives.". The Journal of dermatology. 39 (2): 121–9. doi:10.1111/j.1346-8138.2011.01370.x. PMID 21973237. 1 2 3 "Global leprosy situation, 2012". Wkly. Epidemiol. Rec. 87 (34): 317–28. August 2012. PMID 22919737. 1 2 3 4 Rodrigues LC; Lockwood DNj (June 2011). "Leprosy now: epidemiology, progress, challenges, and research gaps.". The Lancet infectious diseases. 11 (6): 464–70. doi:10.1016/S1473-3099(11)70006-8. PMID 21616456. 1 2 Byrne, Joseph P. (2008). Encyclopedia of pestilence, pandemics, and plagues. Westport, Conn.[u.a. ]: Greenwood Press. p. 351. ISBN 978-0-313-34102-1. ↑ editors, Enrico Nunzi, Cesare Massone, (2012). Leprosy a practical guide. Milan: Springer. p. 326. ISBN 978-88-470-2376-5. ↑ McMenamin, Dorothy (2011). Leprosy and stigma in the South Pacific : a region-by-region history with first person accounts. Jefferson, N.C.: McFarland. p. 17. ISBN 978-0-7864-6323-7. 1 2 Ryan, Kenneth J.; Ray, C. George, eds. (2004). Sherris Medical Microbiology (4th ed.). McGraw Hill. pp. 451–3. ISBN 0-8385-8529-9. OCLC 61405904. 1 2 "Lifting the stigma of leprosy: a new vaccine offers hope against an ancient disease". Time. 119 (19): 87. May 1982. PMID 10255067. 1 2 Kulkarni GS (2008). Textbook of Orthopedics and Trauma (2 ed.). Jaypee Brothers Publishers. p. 779. ISBN 978-81-8448-242-3. ↑ McMurray DN (1996). "Mycobacteria and Nocardia". In Baron S; et al. Baron's Medical Microbiology (4th ed.). Univ of Texas Medical Branch. ISBN 0-9631172-1-1. OCLC 33838234. ↑ Bhattacharya S, Vijayalakshmi N, Parija SC (1 October 2002). "Uncultivable bacteria: Implications and recent trends towards identification". Indian journal of medical microbiology. 20 (4): 174–7. PMID 17657065. ↑ Meredith, Anna; Del Pozo, Jorge; Smith, Sionagh; Milne, Elspeth; Stevenson, Karen; McLuckie, Joyce (September 2014). "Leprosy in red squirrels in Scotland". Veterinary Record. 175 (11): 285–286. doi:10.1136/vr.g5680. PMID 25234460. ↑ Red squirrels in the British Isles are infected with leprosy bacilli, Dr. Andrej Benjak, Prof Anna Meredith and others, Science, 11 November 2016.Retrieved 11 November 2016. ↑ Leprosy revealed in red squirrels across the British Isles, Damian Carrington, 11 November 2016.Retrieved 11 November 2016. 1 2 Schreuder, P.A.M.; Noto, S.; Richardus J.H. (January 2016). "Epidemiologic trends of leprosy for the 21st century". Clinics in Dermatology. 34 (1): 24–31. doi:10.1016/j.clindermatol.2015.11.001. PMID 26773620. ↑ Lockwood DN, Lambert SM (January 2011). "Human immunodeficiency virus and leprosy: an update.". Dermatologic clinics. 29 (1): 125–8. doi:10.1016/j.det.2010.08.016. PMID 21095536. 1 2 3 4 5 6 "Leprosy". WHO. 2009-08-01. Retrieved 2010-01-31. 1 2 Brosch, Roland; Stinear, Timothy P. (11 November 2016). "Leprosy in red squirrels". Science. 354 (6313): 702–703. doi:10.1126/science.aal0145. Retrieved 2016-11-11. ↑ Truman RW, Singh P, Sharma R, Busso P, Rougemont J, Paniz-Mondolfi A, Kapopoulou A, Brisse S, Scollard DM, Gillis TP, Cole ST (April 2011). "Probable Zoonotic Leprosy in the Southern United States". The New England Journal of Medicine. Massachusetts Medical Society. 364 (17): 1626–1633. doi:10.1056/NEJMoa1010536. PMC 3138484 . PMID 21524213. 1 2 "What Is Leprosy?" THE MEDICAL NEWS | from News-Medical.Net – Latest Medical News and Research from Around the World. Web. 20 Nov. 2010. .
↑ Rees RJ, McDougall AC; McDougall (1977). "Airborne infection with Mycobacterium leprae in mice". J Med Microbiol. 10 (1): 63–8. doi:10.1099/00222615-10-1-63. PMID 320339. ↑ Cook, Gordon C. (2009). Manson's tropical diseases. (22nd ed.). [Edinburgh]: Saunders. p. 1056. ISBN 978-1-4160-4470-3. ↑ Alcaïs A, Mira M, Casanova JL, Schurr E, Abel L (2005). "Genetic dissection of immunity in leprosy". Curr. Opin. Immunol. 17 (1): 44–8. doi:10.1016/j.coi.2004.11.006. PMID 15653309. ↑ Smith DS (2008-08-19). "Leprosy: Overview". eMedicine Infectious Diseases. Retrieved 2010-02-01. ↑ Ridley DS, Jopling WH; Jopling (1966). "Classification of leprosy according to immunity. A five-group system". Int. J. Lepr. Other Mycobact. Dis. 34 (3): 255–73. PMID 5950347. ↑ Modlin RL (June 1994). "Th1-Th2 paradigm: insights from leprosy". J. Invest. Dermatol. 102 (6): 828–32. doi:10.1111/1523-1747.ep12381958. PMID 8006444. 1 2 3 Rodrigues LC, Lockwood DNj; Lockwood (June 2011). "Leprosy now: epidemiology, progress, challenges, and research gaps". Lancet Infect Dis. 11 (6): 464–70. doi:10.1016/S1473-3099(11)70006-8. PMID 21616456. ↑ "Leprosy Vaccine". American Leprosy Missions. Retrieved October 20, 2015. ↑ "Trial set for world's first leprosy vaccine". The Guardian. June 6, 2014. Retrieved October 20, 2015. ↑ "China's Mars plans, leprosy vaccine and self-driving taxis". Nature. 2016-08-31. Retrieved 2016-09-03. 1 2 "Global Leprosy Update, 2013: Reducing Disease Burden" (PDF). Weekly Epidemiological Record. World Health Organization. 36 (89): 389–400. 5 September 2014. Retrieved 26 February 2016. ↑ "About ILEP". ILEP. Retrieved 2014-08-25. ↑ World Health Organization. (1985). "Epidemiology of leprosy in relation to control. Report of a WHO Study Group". World Health Organ Tech Rep Ser. Geneva: World Health Organization. 716: 1–60. ISBN 92-4-120716-7. OCLC 12095109. PMID 3925646. ↑ Monot, Marc; Honoré, Nadine; Garnier, Thierry; Araoz, Romul; Coppée, Jean-Yves; Lacroix, Céline; Sow, Samba; Spencer, John S.; Truman, Richard W.; Williams, Diana L.; Gelber, Robert; Virmond, Marcos; Flageul, Béatrice; Cho, Sang-Nae; Ji, Baohong; Paniz-Mondolfi, Alberto; Convit, Jacinto; Young, Saroj; Fine, Paul E.; Rasolofo, Voahangy; Brennan, Patrick J.; Cole, Stewart T. (13 May 2005). "On the Origin of Leprosy". Science. 308 (5724): 1040–1042. doi:10.1126/science/1109759. PMID 15894530. ↑ Robbins, G; Mushrif, V.; Misra, V.N. ; Mohanty, R.K.; Shinde, V.S. ; Gray, K.M. ; Schug, M.D. (May 2009). "Ancient skeletal evidence for Leprosy in India (2000 B.C.)". PLoS ONE. e5669 (5): e5669. doi:10.1371/journal.pone.0005669. ↑ Robbins Schug, G; Blevins, K. Elaine; Cox, Brett; Gray, Kelsey; Mushrif-Tripathy, Veena (December 2013). "Infection, Disease, and Biosocial Process at the End of the Indus Civilization". PLoS ONE. 0084814 (12): e84814. doi:10.1371/journal.pone.0084814. ↑ Robbins, Gwen; Tripathy, V. Mushrif; Misra, V. N.; Mohanty, R. K.; Shinde, V. S.; Gray, Kelsey M.; Schug, Malcolm D. (May 27, 2009). "Ancient Skeletal Evidence for Leprosy in India (2000 B.C.)". PLoS ONE. 4 (5): e5669. doi:10.1371/journal.pone.0005669. PMC 2682583 . PMID 19479078. ↑ "DNA of Jesus-Era Shrouded Man in Jerusalem Reveals Earliest Case of Leprosy". ScienceDaily. 2009-12-16. Retrieved 2010-01-31. ↑ Irgens LM (2002). "The discovery of the leprosy bacillus". Tidsskr nor Laegeforen. 122 (7): 708–9. PMID 11998735. ↑ Andrew Baum; et al. (1997). Cambridge handbook of psychology, health and medicine. Cambridge, Angleterre: Cambridge University Press. p. 521. ISBN 978-0-521-43686-1. ↑ "Communicable Diseases Department, Leprosy FAQ". World Health Organization. 2006-05-25. Retrieved 2010-01-31. ↑ Japan repealed its "Leprosy Prevention Laws" in 1996, but former patients still reside in sanatoriums. "Koizumi apologises for leper colonies". BBC News. May 25, 2001. and Former Hansen's disease patients still struggling with prejudice Japan Times June 7, 2007. ↑ Gussow, Zachary (1989). Leprosy, Racism, and Public Health. Boulder, Colorado: Westview Press. ISBN 978-0-8133-0674-2. ↑ Jacob, Jesse; Franco-Paredes, Carlos (2008). "The stigmatization of leprosy in India and its impact on future approaches to elimination and control". PLoS Neglected Tropical Diseases. doi:10.1371/journal.pntd.0000113. 1 2 3 Covey, Herbert C. (2001). "People with leprosy (Hansen's disease) during the Middle Ages" (PDF). Social Science Journal. 38 (2): 315–321. doi:10.1016/S0362-3319(01)00116-1. Retrieved June 25, 2016. ↑ Le Goff, Jacques (1990). The Medieval world. London: Collins & Brown. ISBN 1-85585-081-8. ↑ Clay, Rotha (1909). The Mediaeval Hospitals of England. Cornell University Library. ISBN 1-112-20443-1. ↑ Rubin, Stanley (1974). Medieval English medicine. New York: Barnes & Noble Books: Newton Abbot: David & Charles. ISBN 0-06-496016-1. ↑ Moore, R. I. (2007). The Formation of a Persecuting Society. Oxford: Blackwell. ISBN 1-4051-2964-6. ↑ Alter, Andrea (2010). Genetic susceptibility to leprosy. McGill University (Canada): ProQuest Dissertations Publishing. ISBN 978-0-494-72613-6. 1 2 Gussow, Zachary (1989). Leprosy, Racism, and Public Health. Boulder, Colorado: Westview Press. ISBN 978-0-8133-0674-2. ↑ White, Cassandra (2005). "Explaining a Complex Disease Process: Talking to Patients about Hansen's Disease (Leprosy) in Brazil". Medical Anthropology Quarterly. ISSN 0745-5194. ↑ Barret, Ronald (June 2005). "Self-Mortification and the Stigma of Leprosy in Northern India". Medical Anthropology Quarterly. ISSN 1548-1387. ↑ Staples, James (2014). "Communities of the afflicted: constituting leprosy through place in South India.". Medical Anthropology: Cross-Cultural Studies in Health and Illness. doi:10.1080/01459740.2012.714021. ↑ Tayman, John (2007). The Colony: The Harrowing True Story of the Exiles of Molokai. New York: Simon and Schuster. ISBN 978-0-7432-3301-9. ↑ Hamilton, Bernard (2000). The leper king and his heirs: Baldwin IV and the Crusader Kingdom of Jerusalem. Cambridge, UK: Cambridge University Press. ISBN 0-521-64187-X. ↑ Webber, Roger (2015). Disease Selection: The Way Disease Changed the World. CABI. p. 8. ISBN 978-1-78064-682-4. ↑ Cung giu Nguyên (1955). "Contemporary Vietnamese Writing". Books Abroad. University of Oklahoma. 29 (1): 19–25. doi:10.2307/40093803. JSTOR 40093803. ↑ Bryant A (1995). Sekigahara 1600: The Final Struggle for Power (Campaign Series, 40). Osprey Publishing (UK). ISBN 1-85532-395-8. Retrieved 2010-02-28. ↑ Truman, Richard (2005). "Leprosy in wild armadillos". Lepr Rev. 76: 198–208. ↑ Sharma, Rahul; Lahiri, Ramanuj; Scollard, David M.; Pena, Maria; Williams, Diana L.; Adams, Linda B.; Figarola, John; Truman, Richard W. (2013-01-01). "The armadillo: a model for the neuropathy of leprosy and potentially other neurodegenerative diseases". Disease Models & Mechanisms. 6 (1): 19–24. doi:10.1242/dmm.010215. ISSN 1754-8403. PMC 3529335 . PMID 23223615. ↑ Job, C. K.; Drain, V.; Truman, R.; Deming, A. T.; Sanchez, R. M.; Hastings, R. C. (2016-06-01). "The pathogenesis of leprosy in the nine-banded armadillo and the significance of IgM antibodies to PGL-1". Indian Journal of Leprosy. 64 (2): 137–151. ISSN 0254-9395. PMID 1607712.